The nation and culture of Taiwan receives little public recognition due to its renegade provincial standing with China and hence with the USA and the West. As a beneficiary of the Asian boom and its own ‘economic miracle’, Taiwan has undergone exceedingly rapid economic modernisation. In this post-industrial society, where urbanisation, commercialism and westernisation co-exist with local practices and beliefs, the focus of identity is now on the self, rather than the nation. In Face to Face, thirty works by eight artists indicate the current Taiwanese struggle not only to ‘save face’ but also to ‘show face’ and transgress geographical and political boundaries. In photography, computer-generated works, paintings, drawings and textiles these artists explore a range of issues that are significant here, as well as in their own country. Photographing himself in front of the symbolic gates that mark the entrances to ‘Chinatown’ areas in cities around the world, artist Yao Jui-Chung examines the changing construction of national identity in light of immigration and settlement across the globe. Participating artists, such as Chen Chieh-Jen, Wang Jun-Jih and Huang Chih-Yung focus on the mass media and exploding consumer market in Taiwan, to consider relationships between reality and illusion or desire and detachment. For other Taiwanese artists, issues that transcend geographic boundaries, such as the urban and natural environment, family and gender are of central concern. 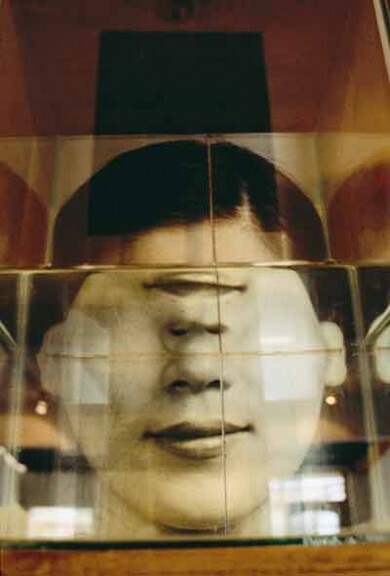 Four of the artists in Face to Face represented Taiwan at the Venice Biennale and Chen Chieh-Jen was a prize winner at the 2000 Kuangju Biennale in Korea. Face to Face was organised by Gold Coast City Art Gallery with the Taipei Fine Arts Museum. At the Adam Art Gallery Face to Face was supported by the Asia 2000 Foundation of New Zealand and the Taipei Economic and Cultural Office.